Beware of heating pads – they should never be used near an open wound or after surgery. The temporary relief causes unseen damage. Many times burning under the skin can occur, without seeing the visible signs first. Unfortunately the staff at the Wound Care Clinic sees many patients who have burned themselves with heating pads. In many cases, the patient falls asleep because of the comfort of the warm heat. Other times, the patient cannot feel the skin burning because of neuropathy. Second and third degree burns can be caused from heating pads, which not only will extend the healing process, but also further complicates the treatment needed. Electrical burns can damage the skin, extending to underlying deep tissue and cause even more pain. Reports of patients falling asleep all night with heating pads and ending up in the emergency room are true. This excessive heat your body does not need burns, leaving behind scars and pain. 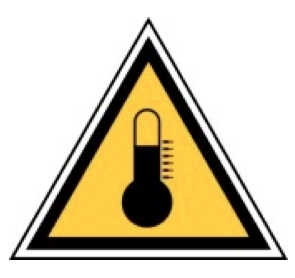 Extreme caution is extended for the heat/ice packs that can be microwaved. These plastic packs can cause immediate burning to the skin if overheated. We only recommend natural fiber products like cotton or wool to keep your feet warm (although wool does a better job). To keep your body warm, many fleece products provide good insulated heat. If you have any questions about a chronic wound that is slow to heal, please contact our healthcare team. We will be glad to work with you with a referral from your primary care physician. Contact us.